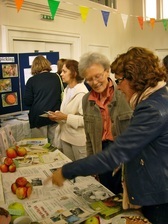 Hundreds of people came along to the first Abundance Fruit Day. 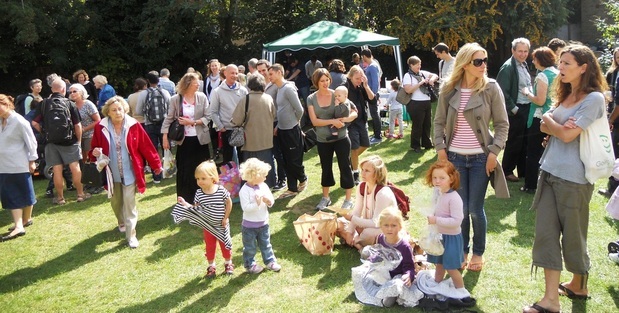 It was held on September 17th in St Mark’s Church garden, in the centre of Wimbledon. 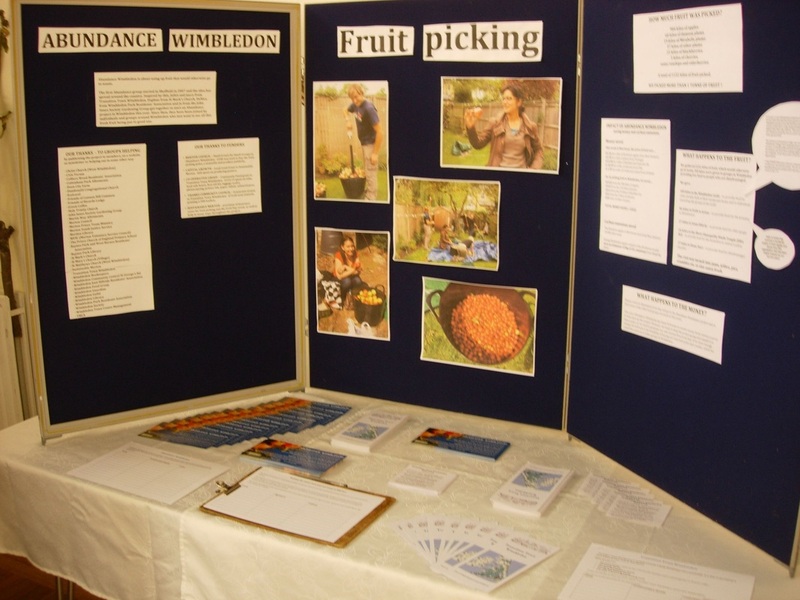 Jams, jellies, chutneys, cakes, sweets and fruit pies, made from fruit collected around Wimbledon, were donated to the event and helped raise over £600. 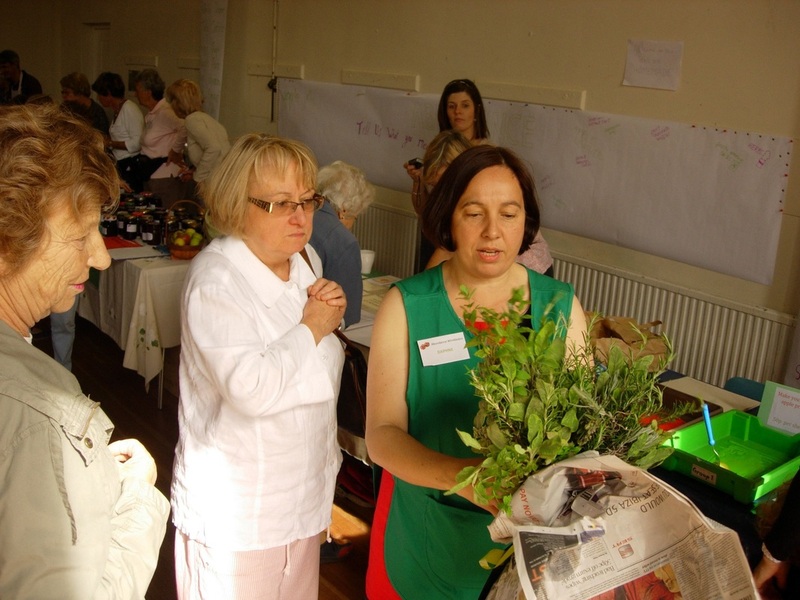 This money will go towards supporting the Abundance project for another year. 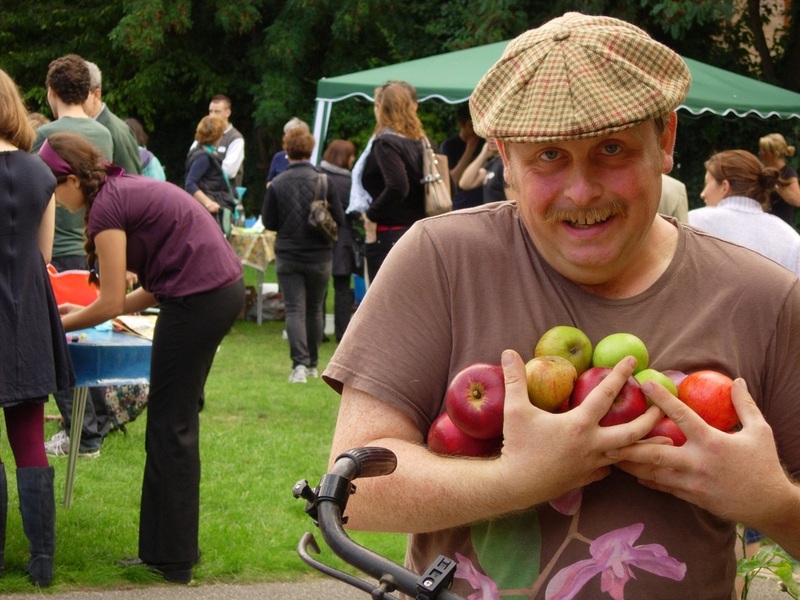 The Fruit Day event was also a wonderful celebration of the abundance of fruit growing around Wimbledon and of the kindness of people who don’t want to see this fruit going to waste. 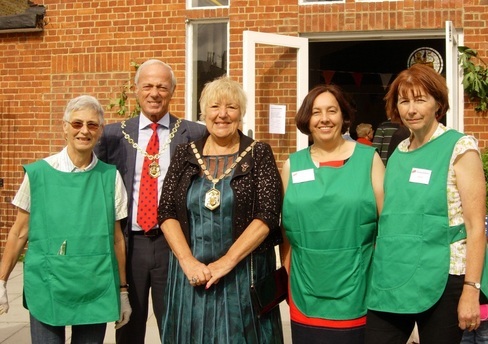 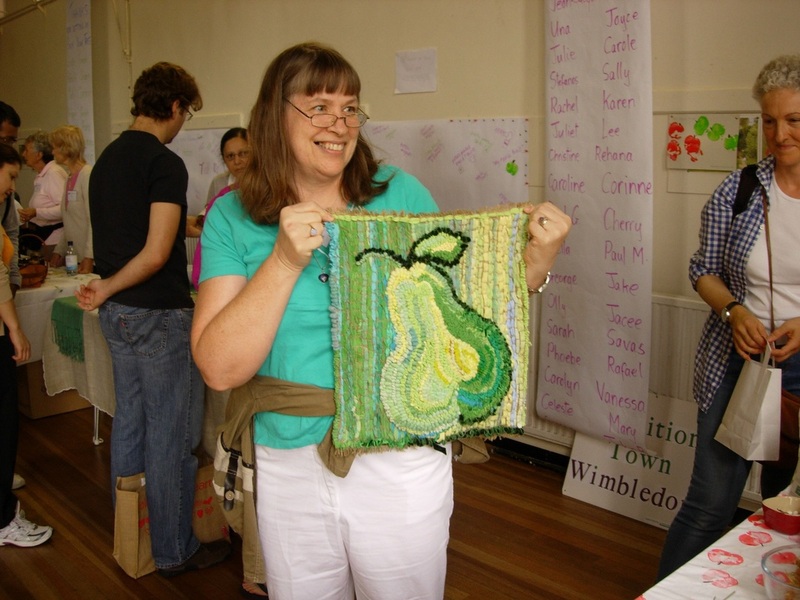 Fruit Day 2011 was opened by Mayor Gilli Lewis-Lavender, an enthusiastic supporter of the Abundance project. 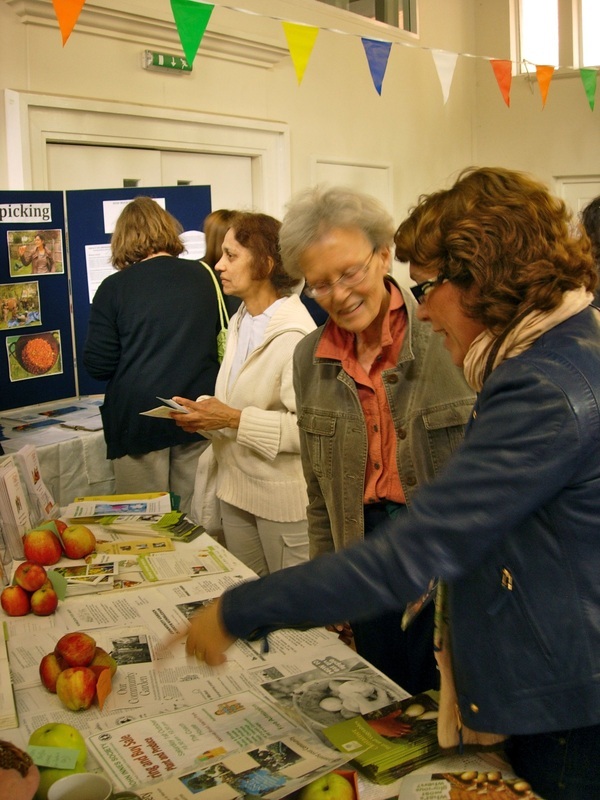 Some people brought along fruit to turn into juice at the fruit press or to exchange at the Fruit Swap. 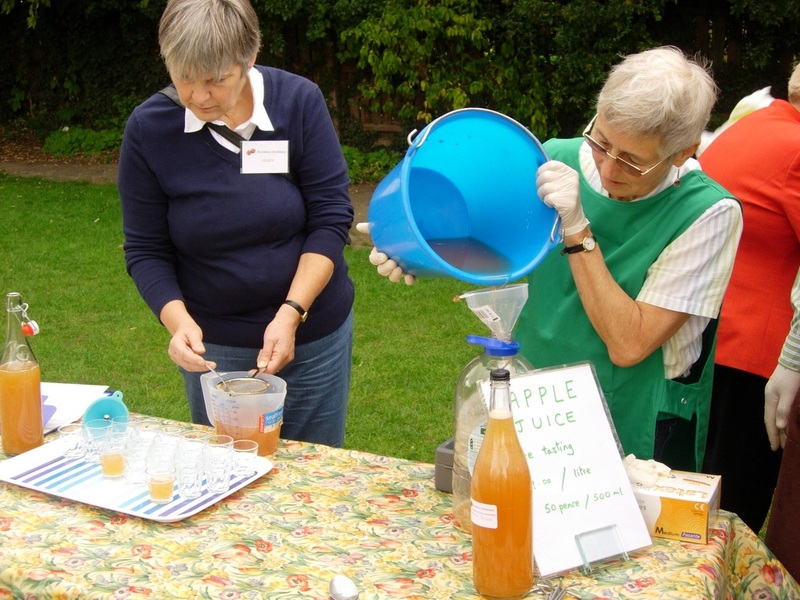 Fresh apple and pear juice could be sampled, as well as jam and bread tasting and a pie-making demonstration. 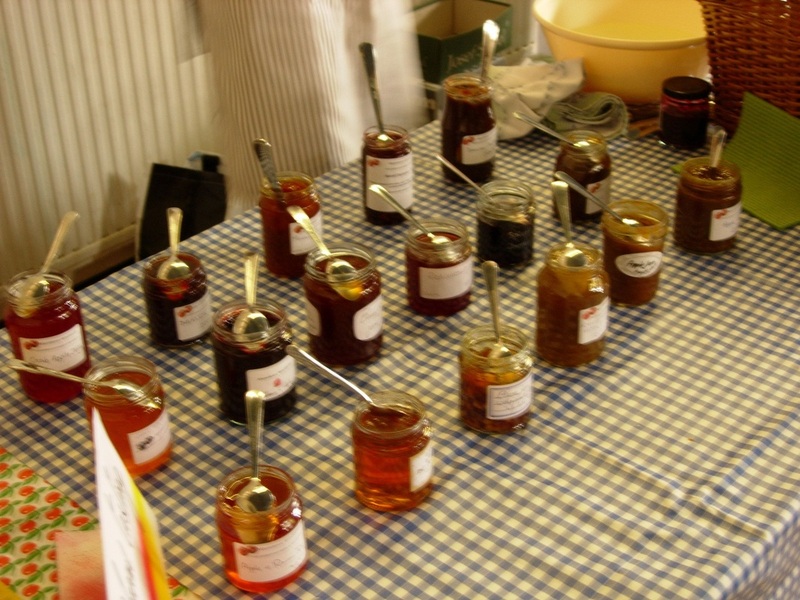 There were hundreds of jars of jam, jellies, chutneys and spiced fruit, (most of it made using free fruit and recycled jars), cakes, fruit pies, muffins, fruit leathers, fruit truffles, fruit cards and honey from Wimbledon Bee-Keepers. 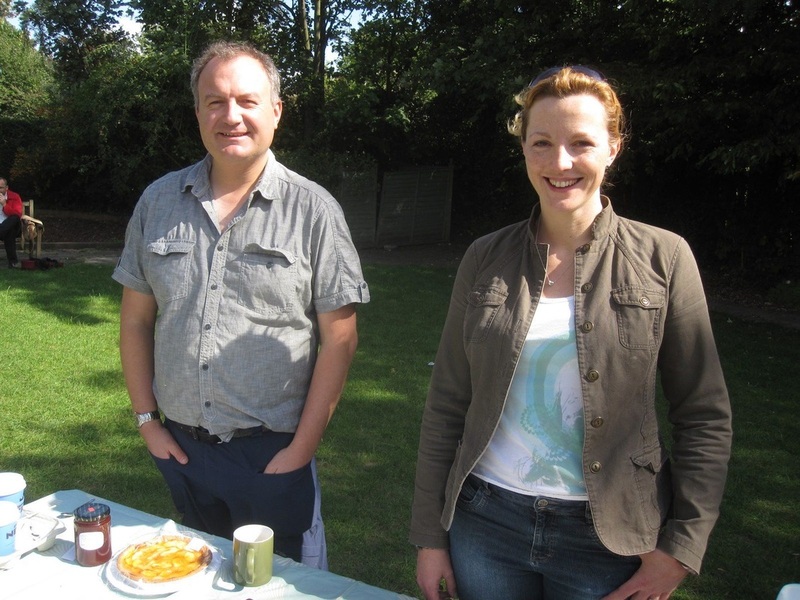 The aim of the day was to celebrate the abundance of fruit growing around Wimbledon and to show how people in Wimbledon and beyond can work together to make delicious food from resources that would otherwise be wasted. 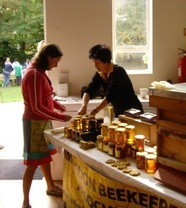 People enjoyed the music, sampled the fresh fruit juice and tasted the range of jams and bread, all for free. 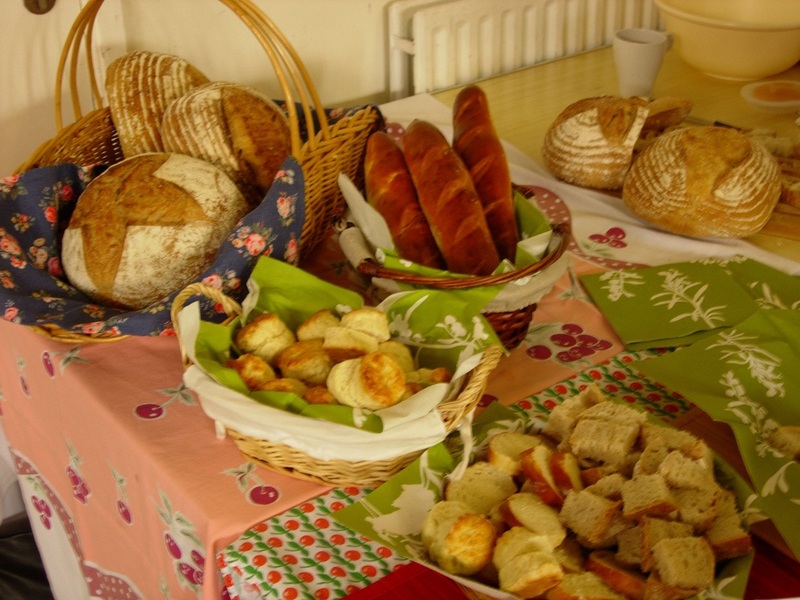 Or they could buy produce like jam, chutney and apple cakes, fresh juice or a raffle ticket, raising over £600 to help keep the project going next year. 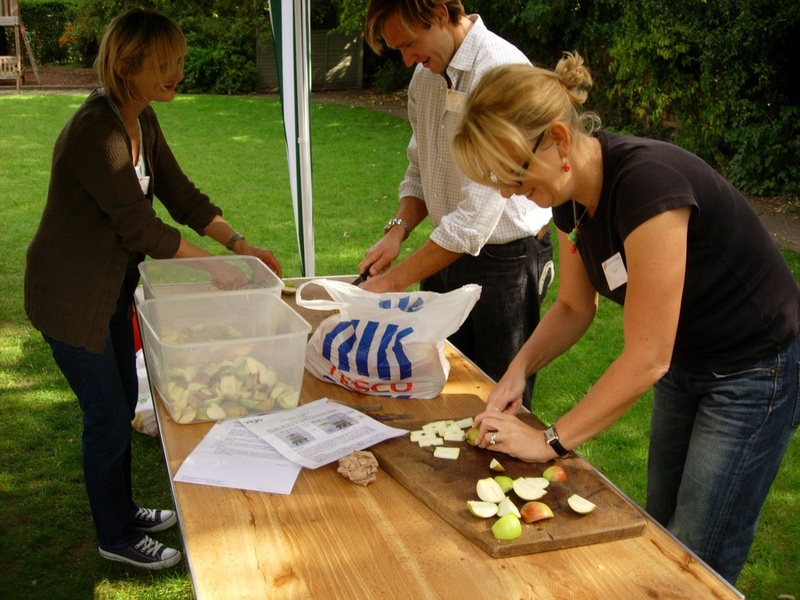 People could get free expert advice on how to look after a fruit tree or they could take part in the Longest Peel competition - the winning peel was a whopping 74 inches long. 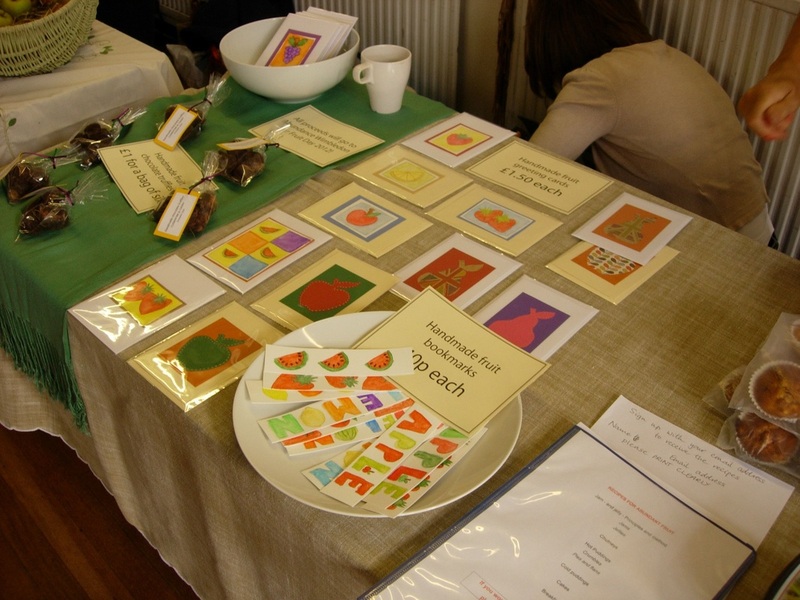 Children enjoyed fruit printing, turning fruit into juice and learning how to put together an apple pie. Young people working with Merton Youth Justice Service helped at the event. 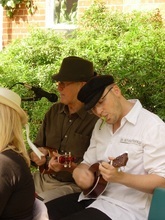 The wonderful International Ukelele Orchestra played, some people even danced in the garden. 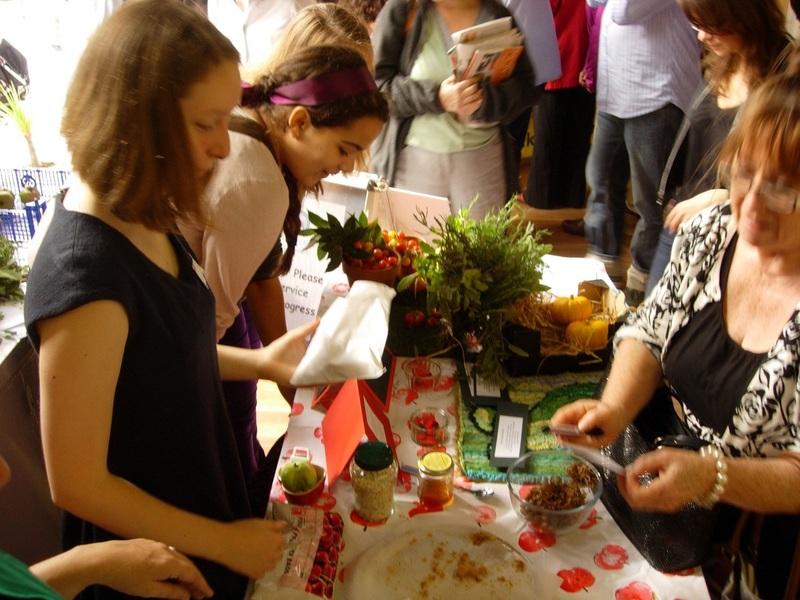 Elys displayed their jam-making and food processing equipment and Eco-Local demonstrated fruit products. 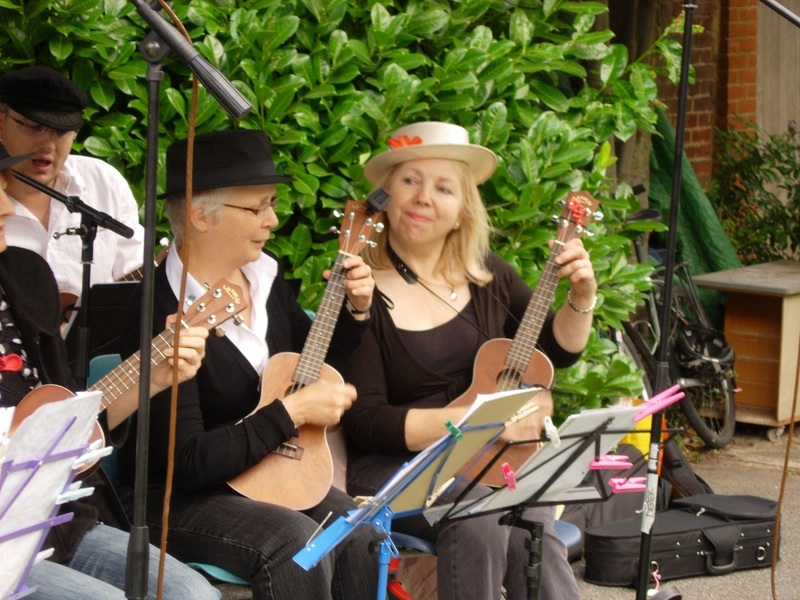 Best of all, everyone had a big smile on their face. 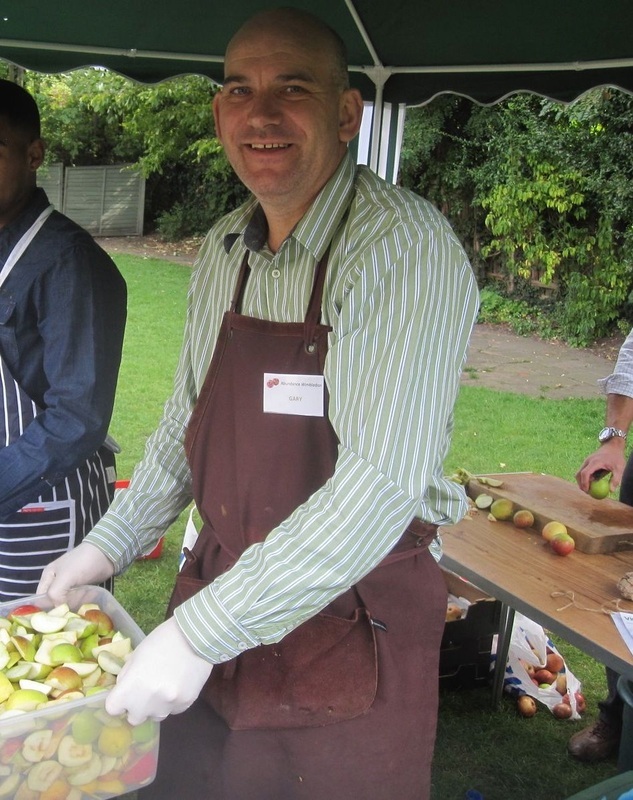 The Fruit Day event was made possible by the many kind people who made jams, chutneys, cakes, pies etc., as well as the 40 or so volunteers who helped on the stalls. Also, St Mark’s Church allowed use of its garden and hall at a greatly reduced charge, the fruit press was kindly lent by the Acacia Intergenerational Centre in Mitcham, the wonderful International Ukelele Orchestra played for free and local horticultural expert Alan Green generously gave his time to advise people on looking after their fruit trees. 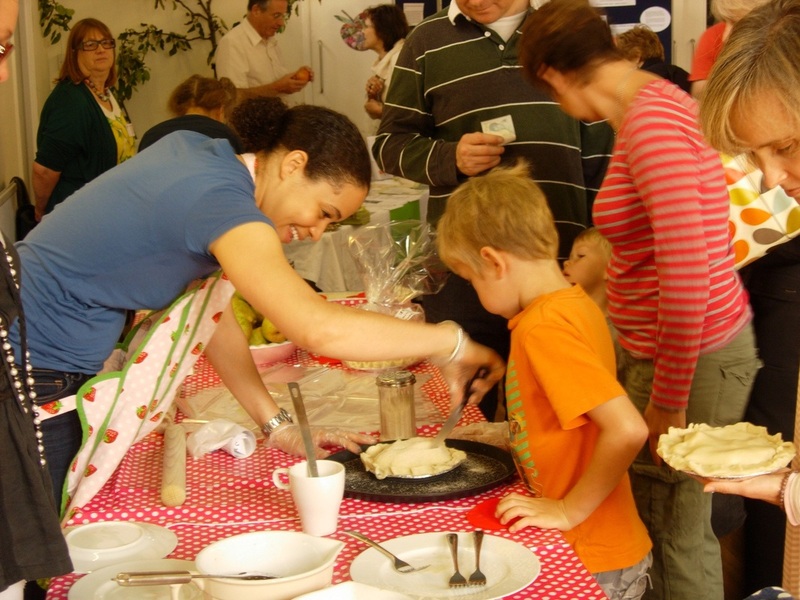 The event was also supported by Elys, which provided a maslin pan and vouchers as prizes for competitions and the raffle. 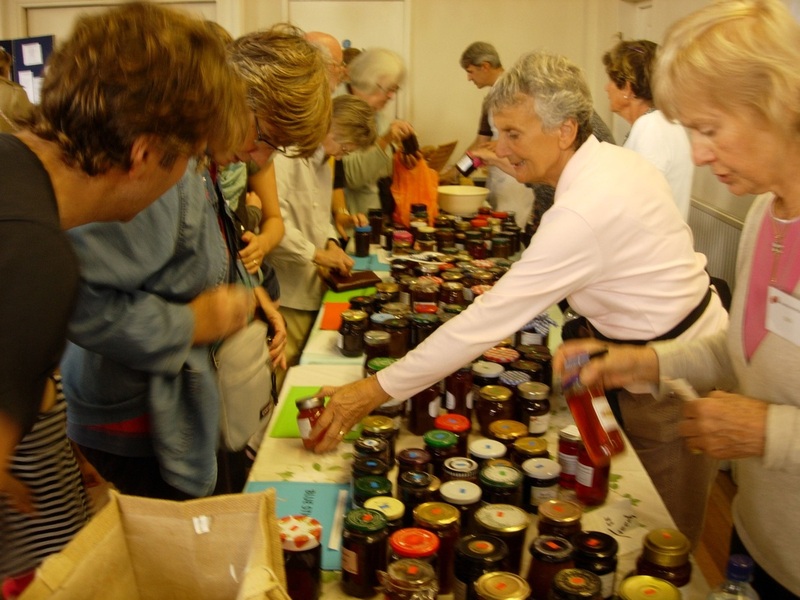 Overall, 100 or so people have been involved, helping to pick fruit, making jams, chutneys, cakes etc., collecting jam jars and assisting with publicity. 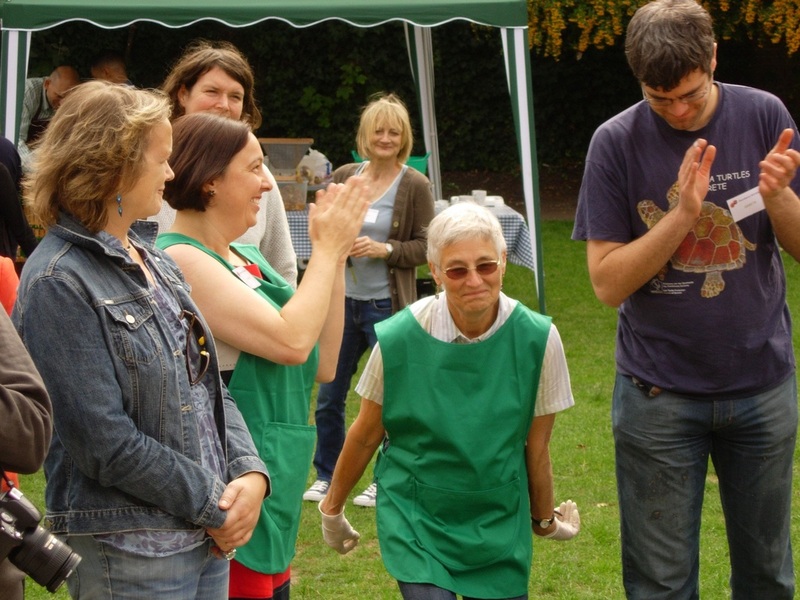 More than 20 kind people invited Abundance volunteers into their gardens to harvest fruit trees or else donated their surplus fruit. 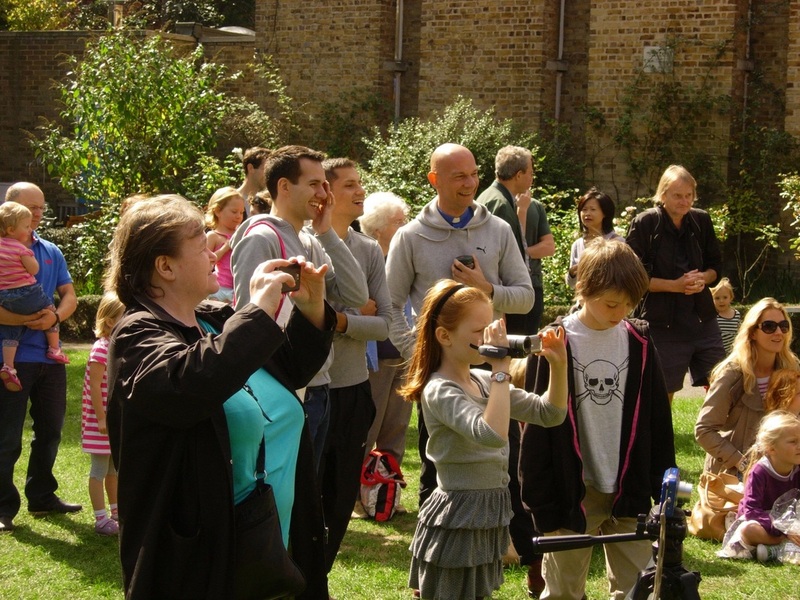 In this first year, the project has received funding from Transition Town Wimbledon (grants from the Co-operative Group – Community Fund and the Thames Community Foundation - Grassroots Grant), Merton Council - Small Grants for Small Groups and Sustainable Merton - Local Lead fund from Capital Growth. 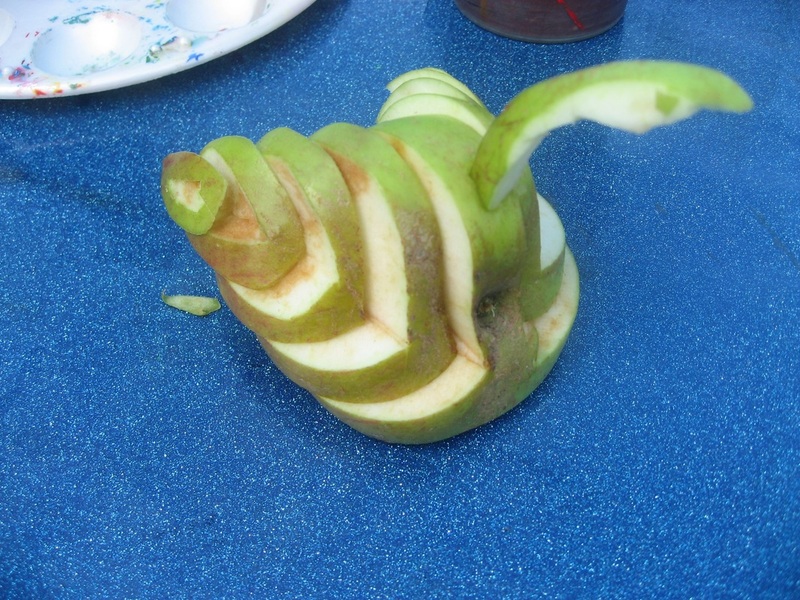 This money has been used to pay for fruit picking equipment and the extensive publicity needed to make this project a success, as well as other expenses. 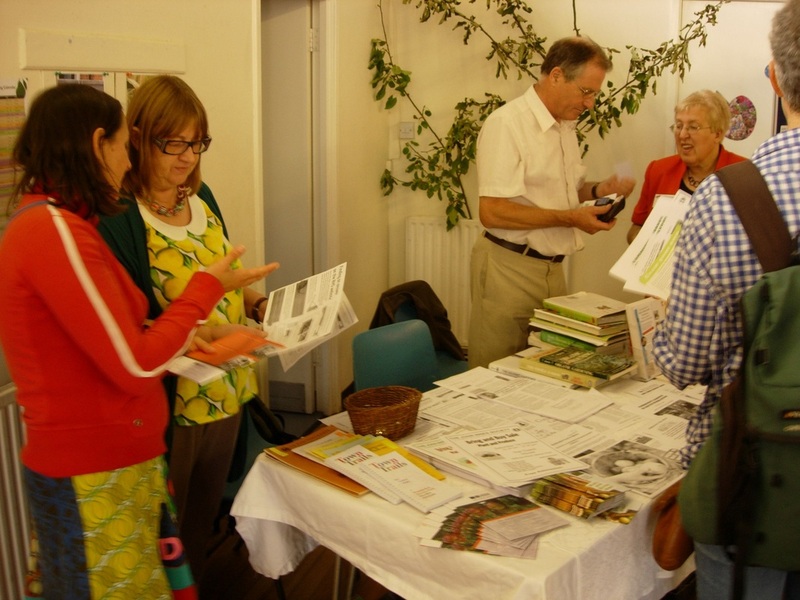 KallKwik printers helped kick off the project giving a great deal on printing leaflets. 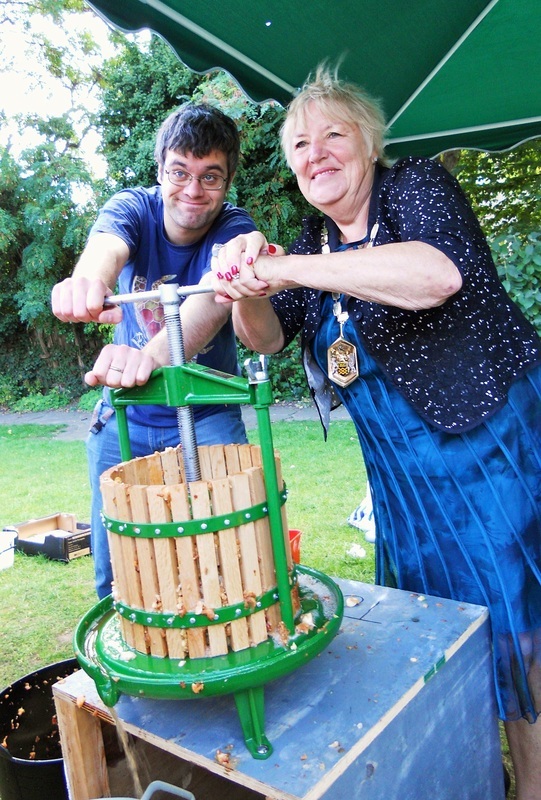 Abundance Wimbledon hopes to buy its own fruit press, which it can then lend out to other groups around Wimbledon. 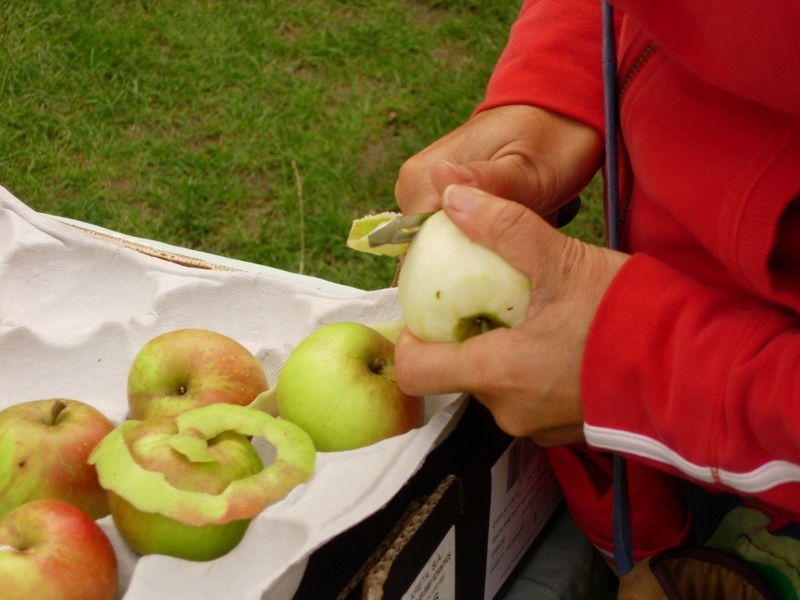 Money will also be needed for more fruit picking equipment, publicity and other expenses.